Nothing screams affluence like a “South Of THE Boulevard” address. For those of you that are new to “The Valley” the Boulevard being referred to is Ventura. 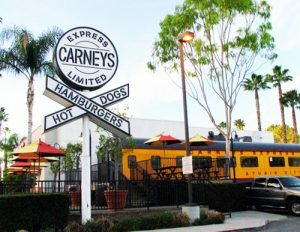 Ventura Boulevard is Studio City’s principal commercial corridor and the dividing line between living in “The Valley” or living in “The Hills”. Ventura Boulevard is a short walk from Fryman Canyon and one can find just about everything one might need. Although there are some larger chain stores (Pier One, Urban Outfitters, The Gap, Lucky Jeans ….) there are also one of a kind boutiques filled with treasures. You won’t go hungry! There are tonnes of restaurants, cafe’s and coffee shops dotting the Boulevard. And, because Fryman Canyon is home to many celebrities, you just never know who will be sitting next to you as you sip your latte at Peet’s Coffee.